What if you could have certain benefits associated with natural birth during your C-section? According to new research, a "natural C-section" may give you just that. There are any number of reasons mothers wish to have natural deliveries—and experiencing every step of childbirth is one of those reasons. But as we all know, vaginal deliveries aren't always in the cards for moms. But new research is showing that a third birth option may give women who require C-sections a taste of the natural birth experience. Fittingly enough, this option is referred to as a "natural C-section." An expert on this topic published her findings back in 2008, and now she's presenting at the European Anaesthesiology Congress' Euroanaesthesia conference in Geneva: According to Felicity Plaat, MBBS, natural C-sections are safe, effective and accessible options for women who wanted a more natural experience but were prevented from having it. A natural C-section involves removing a baby slowly from a mother's abdomen. The doctor administers a form of anesthesia that allows the mom to be alert, the drapes are lowered so she can observe the birth, and moms are encouraged to communicate their preferences as far as delivery room ambiance goes. That is to say, if you want to give birth in a lively environment, you can play uptempo music and encourage conversation among attendees, whereas if you want things to feel more tranquil, you can establish a quieter setting. The bottom line? Mothers get to have a more active role in the delivery than most C-sections allow. And while this might seem like a "best of both worlds" sort of scenario, Dr. Plaat makes it clear that this option isn't leading moms to request elective C-sections. Speaking of elective C-sections, at one point this technique was only an option for normal-risk women who had scheduled their C-sections in advance—but now, experts believe it may work even among those who require emergency surgical births. The benefits of this sort of birth extend beyond the delivery room, according to Dr. Plaat and her team. The technique has reportedly been linked to greater maternal satisfaction and higher breastfeeding rates as well. While researchers still need to study this technique to better understand its implications, it appears elements of natural C-section are being practiced widely. As we've previously reported, "gentle C-sections" represent another birthing option with similar elements to the natural C-section, and previous research indicates that up to 55 percent of birthing centers in the U.K. utilize elements of the technique. 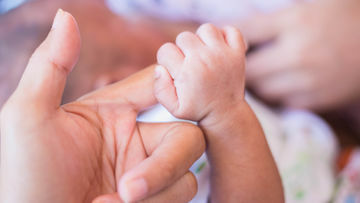 "I believe natural CS makes the experience of birth much more satisfying for the increasing number of women who require CS," Dr. Plaat said, according to a release for the news.